Made by hand in our Portland shop. Compatible with REN GX1 fork. GX1 TITANIUM RACK: Rando ready! 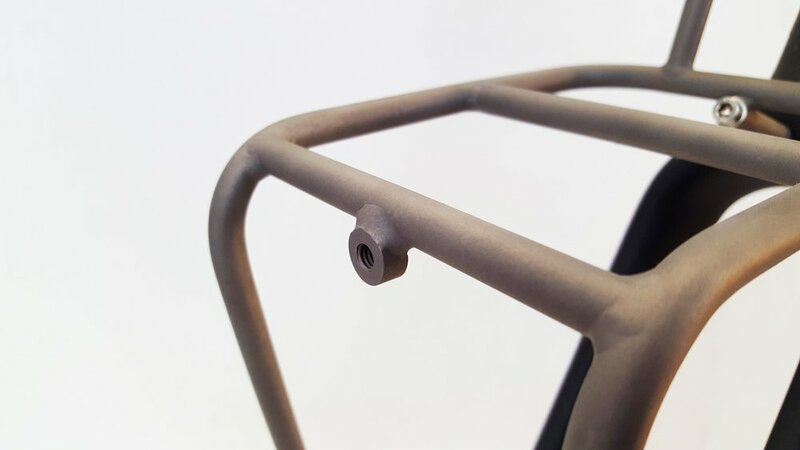 Built from scratch in our Portland shop, these full titanium racks provide a sturdy platform for randonneur style handlebar bags utilizing a handlebar mounted decaleur. 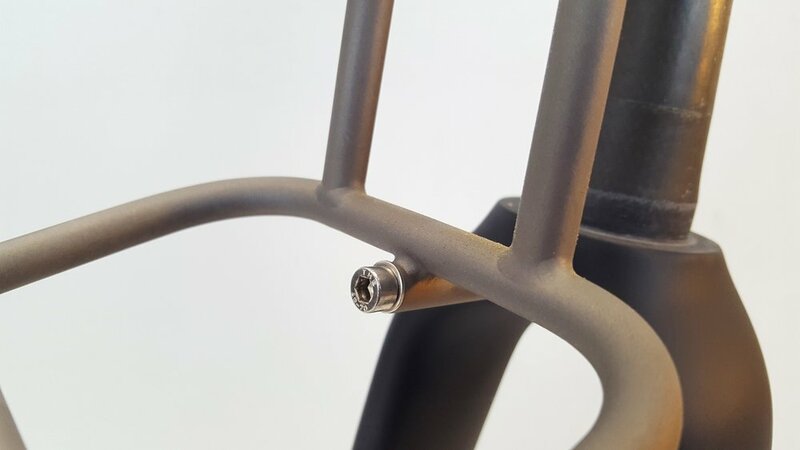 Rack is intended for use in conjunction with a handlebar mounted decaleur. 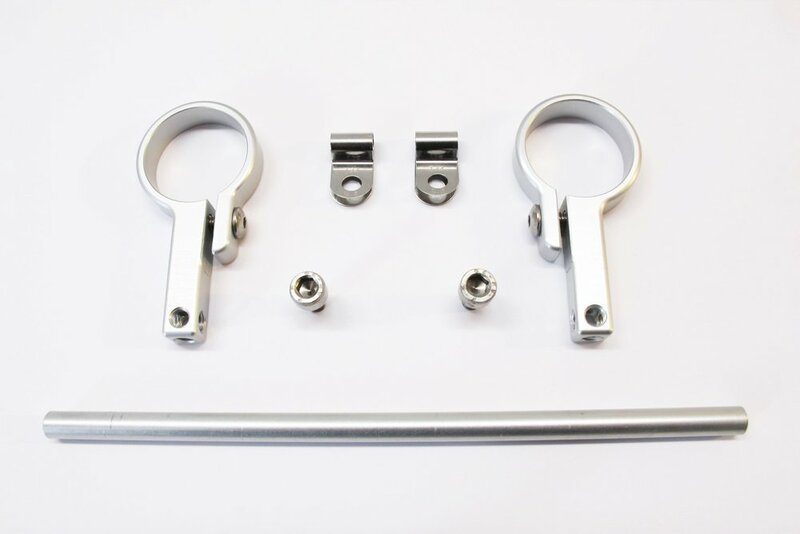 Available with optional Ti Cycles ANYWAY Decaleur and shims for 26.0mm or 25.4mm handlebars. Rack is not compatible with panniers. Recommended load limit is 25lbs. 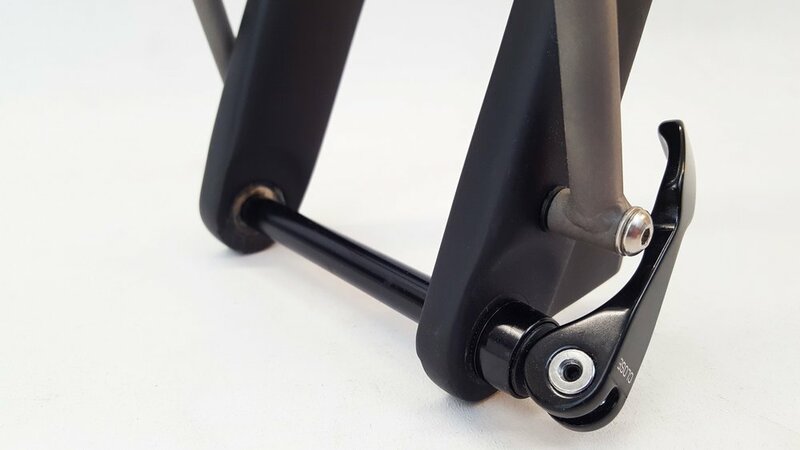 PLEASE NOTE: The GX1 titanium rack is confirmed as compatible only with the REN GX1 carbon fork. Perhaps you are like us and have the knowledge, skills, and tools required to modify and adapt parts for your specific needs, in which case it may very well work with other forks, but we make no such claims. A 15% restocking fee for GX1 racks returned for any reason. That means if you're curious and want to try it out but it turns out it doesn't fit your non-GX1 fork and you'd like to return it we are happy to process your return minus a 15% restocking fee.